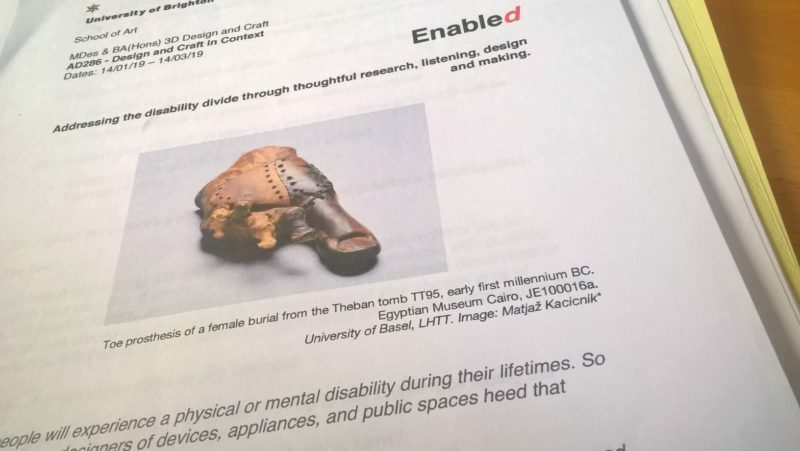 I was delighted to be invited back to the University of Brighton this week to take part in the launch of a new project, Enabled, to 3D Design & Craft students. “aims to address the disability divide through thoughtful research, listening, design and making”. I was able to share insights from the Designing for the Future project and it was interesting to reflect on the various ideas and products which have come out of DFF over the years. I am keen to see how this new module develops and will be posting updates.